For over a decade, Gardens for Health International has been working hand-in-hand with local communities to end chronic malnutrition. Our staffing model reflects our commitment to building the capacity of local leaders, systems, and communities. Over 90% of our team is Rwandan and most of our staff is recruited directly from the communities we serve. Each month we highlight one of our dedicated, talented, and inspiring staff members. 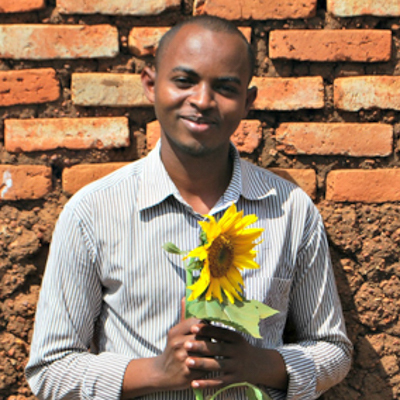 A conversation with Darius Nshimiyimana, Field Coordinator in Karongi District. Darius trains, monitors and supports schools participating in GHI’s World Food Programme Partnership. A conversation with Jean Marie Vienney, Field Educator at Rwaza Health Center.